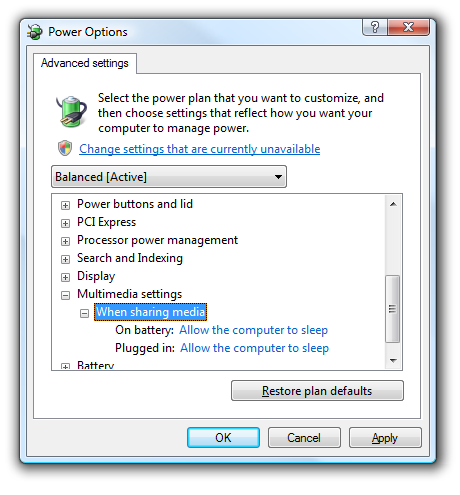 If you’ve found that your Sleep mode menu is dimmed out in Windows Vista, it’s most likely because Media Center disabled the option when it feels that media is being shared. This is an easy setting to fix, but it’s a little tough to locate without some assistance. In the resulting screen, click the “Change plan settings” link underneath the currently selected plan. 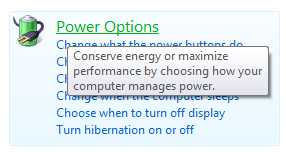 In this screen, click “Change advanced power settings”. Now you’ll need to browse down to Multimedia settings \ When sharing media. Change both of the options to “Allow the computer to sleep”. The menu item for Sleep should be back to normal.